Spring is coming and some of the loveliest early spring flower surprises are the little flower jewels that we had forgotten from last year. They appear unexpectedly in bright and striking colours. These are so gorgeous. 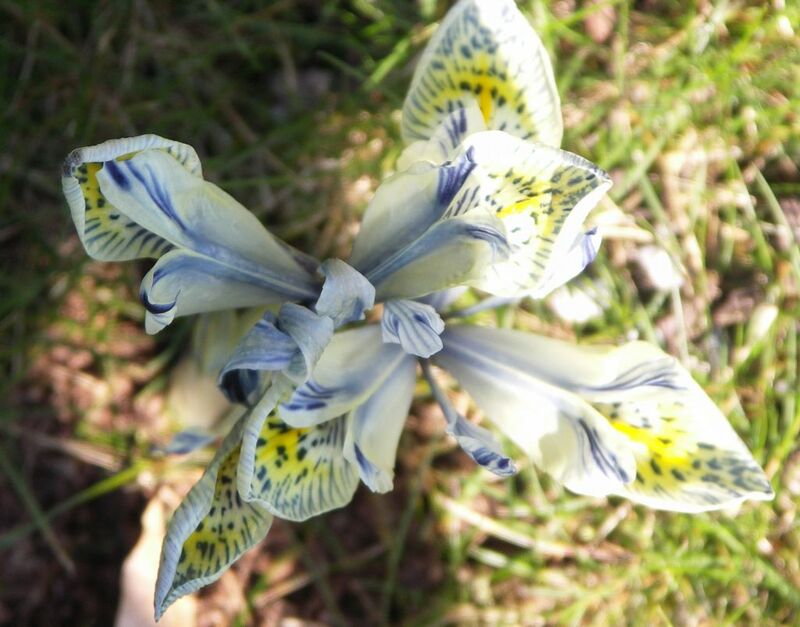 Two I love are : Iris reticulata ‘J.S.Dijt’ –rich purple with a central yellow/orange mark surrounded by indigo and white dashes on each fall and Iris reticulata ‘Katharine Hodgkin’ – the palest blue with dark blue dashes and yellow markings. Find a sunny, well drained spot in your garden for half a dozen of these flower jewels. They are only 10-15 cm tall. A bright yellow flower jewel on a frilly green collar provides a welcome ray of sunshine. 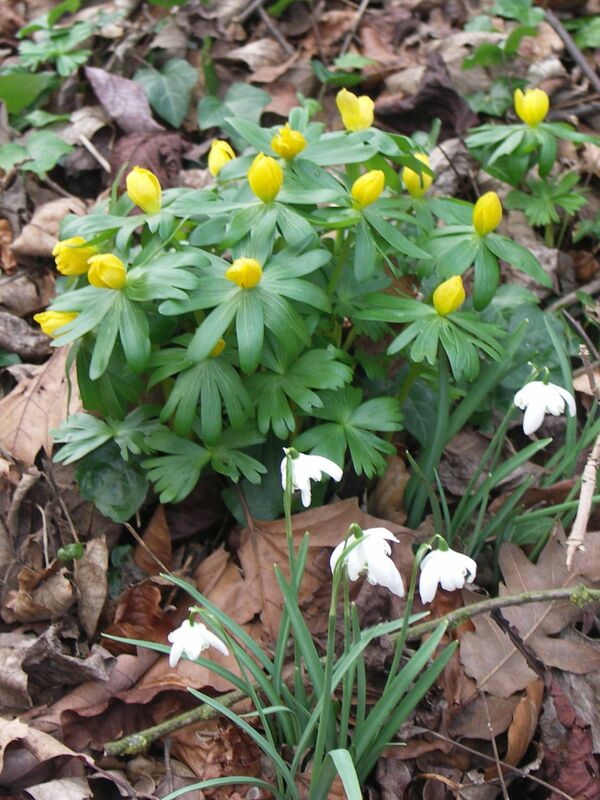 These do well in a dry, sunny area under deciduous trees and associate well with tiny snowdrops. These are very short, about 7.5cm tall. 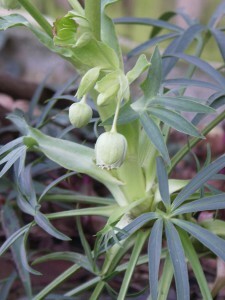 There lots of hellebores that associate well with spring bulbs but the unique appearance of Helleborus foetidus is of special merit. 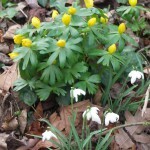 It has narrow dark evergreen foliage and a profusion of small pale green bells with narrow purple rims that last from mid winter to mid spring. It grows to about 70cm tall. 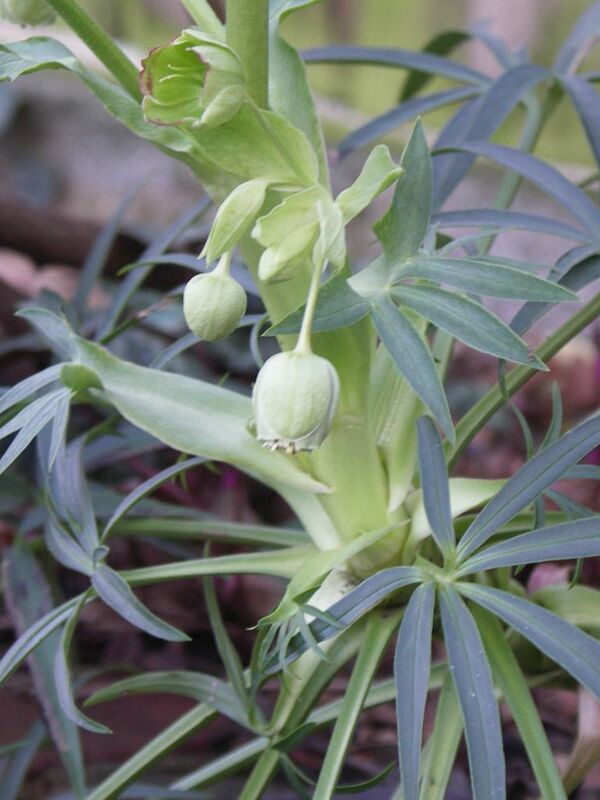 Hellebores prefer dappled shade and a rich soil. Plant clusters of bright flower jewels between them to create a lovely effect. 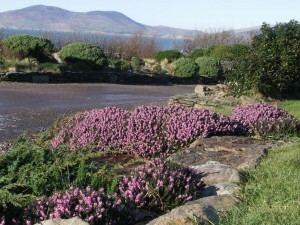 ‘Furzey’ winter heather by the sea in Kerry, Ireland. Here in Kerry, Ireland this winter flowering heather adds such a note of cheer when all else has died back. ‘Furzey’ is a jewel with lilac pink flowers which deepen to mauve pink. It associates well with junipers and low growing mountain pines. 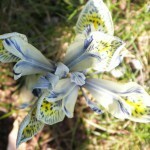 It’s a wonderful plant for a country garden or a rocky area. 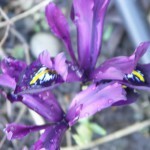 This entry was posted in Spring Flower Jewels and tagged 'J.S. 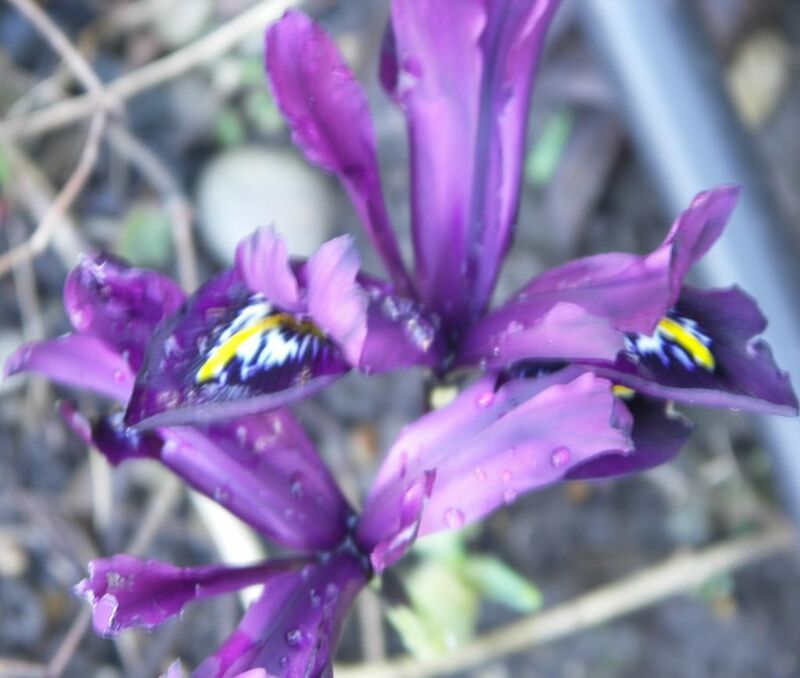 Dijt', 'Katharine Hodgkin', Eranthis hyemalis, Erica x darleyensis 'Furzey', Garden Design, Helleborus foetidus, Ireland, Iris reticulata, Kerry, Leaf & Acre, North London, Planting Design, Spring Flower Jewels, Winter aconite on February 17, 2015 by admin.